WOW! I can't believe I sold UVXY during the middle of the day, and left over $2000 on the table. Damn you Italy! Anyways, if you have been keeping up with my blog posts (on UVXY), you should know that I've been playing ever gap down on UVXY at the open for the past month, trying to catch that dead cat bounce. 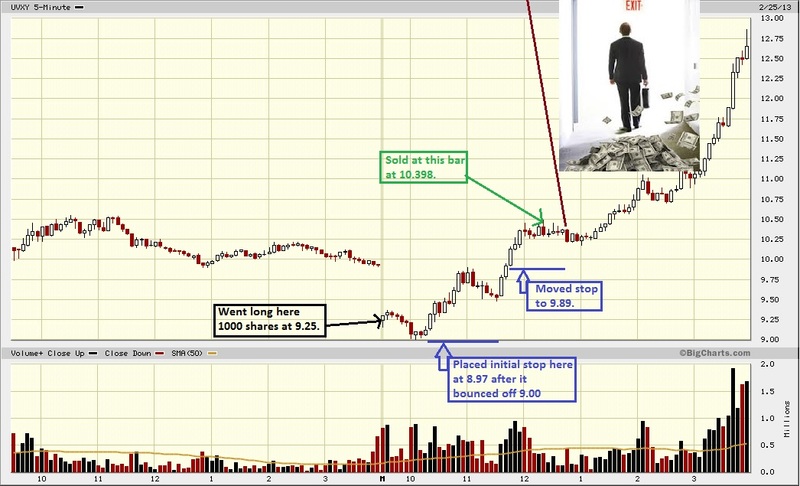 Went long again a 1000 shares today and got filled this morning at 9.25. 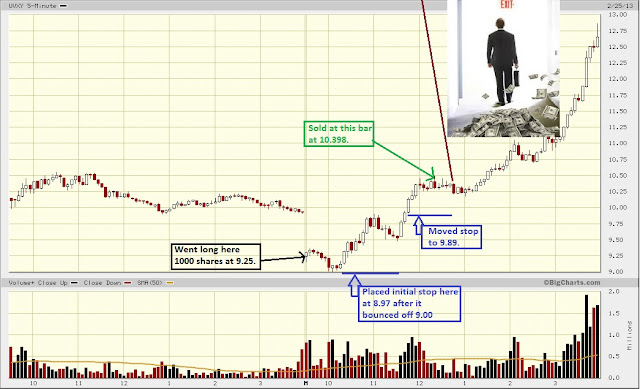 After it hit a strong resistance level around 10.50 around noon, I sold it at 10.398 for a 1.148 point gain. I've noticed recently late in the day, UVXY tends to retrace back down after a nice bounce, so that's why I decided to take my profits and sell it around noon. As you can see though, it was the wrong decision, and I ended up leaving a pile of money on the table. Siiiiiiiiigh! I was in DDD today for a bounce. I too sold wayyyy too early. I say DDD collapse also yesterday, but couldn't find a good entry point.